Revive Adserver v4.1.1 is available now. This new release fixes a number of bugs that were discovered since the release of Revive Adserver v4.1.0 on October 18, 2017. Users trying to upgrade their installations reported problems when they initially installed the software before v2.8.x. These problems have now been fixed. Systems that were initially installed with v3.0 or higher, were not affected. We also fixed a small but annoying issue on the Campaign Properties screen when editing an existing campaign. Removed newly added database integrity check for default values and not null constraints, that was preventing successful upgrades when the database itself was created before 2.8.x. Fixed various issues preventing a direct upgrade from phpAdsNew 2.0.11-pr1 and possibly earlier 2.4/2.6 versions. Fixed an issue that was causing the campaign radio button on the campaign edit screen to be empty and the bottom half of the form to disappear when editing an existing campaign. Full release notes for v4.1.1 can be found on our Github page. 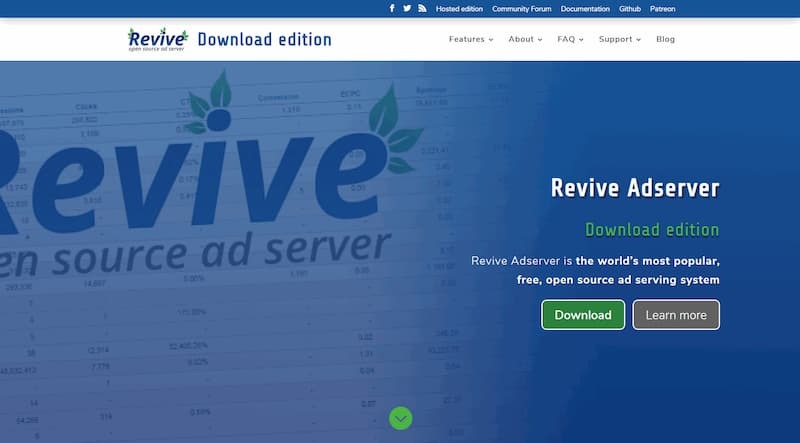 Revive Adserver v4.1.1 is available for download now.